Today, I was in school mode as I hit up Michael's and Target while waiting on my car service appointment. I actually purchased several accessories for my library today. I'm going to try a new library check out system since I've been unhappy with my current system for a few years now! I'll show off my new "Made Its" on Monday after I finish getting them all organized and ready to go! 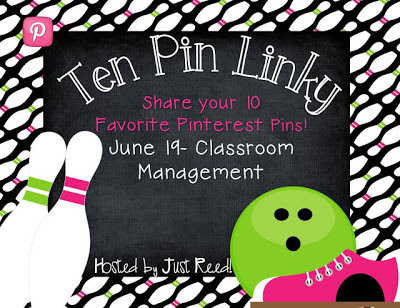 So, since I've been home this summer and exploring Pinterest (way more than a person should) might as well link up with Ashley from Just Reed for her Ten Pin Linky Party! #1 One of the biggest issues in fifth grade is what kids do when they are "done." I always have my lightning fast finishers. I usually have directions on the SMARTboard but often there is an anchor chart something displayed. This board would be perfect for those"I'm done.... now what?" moments. 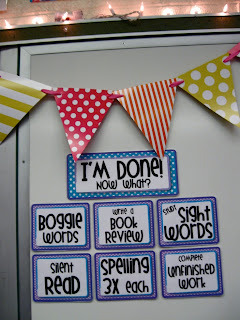 This board would also be a great way to swap out "tasks" depending on importance or the week. 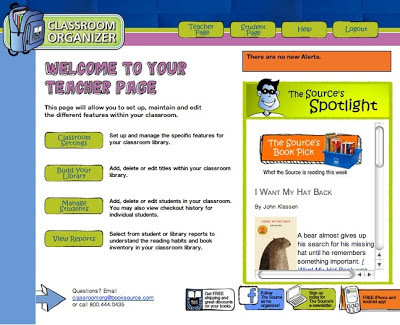 #2 and #3 Oh the classroom library! My library books are always in a disarry. Students find a book and throw in any old bin (even though they are all labeled! )...then students can't find the book they're looking for. I have over 400 something odd books... I can't figure out where they're at let alone keep track of them. These next two pins should hopefully help me out.The first one is an organizational app that allows students to log-in and digitally check out a book. I've already scanned in 275 books and I'm just over half way done... the rest will get done in August! 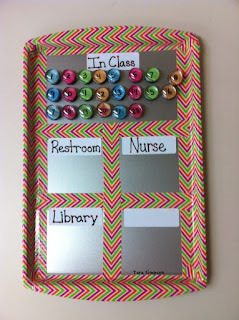 The second pin is "shelf marker / book bin marker" that allows students to mark where a book came from so they can remember to put it back in the right spot! GENIUS! I'm creating sticks for both classes! I'm tired of them not putting the books back correctly. It should make my life and my "librarian" of the week much more relaxing during Workshop. #4 The best classroom management strategy is engagement. 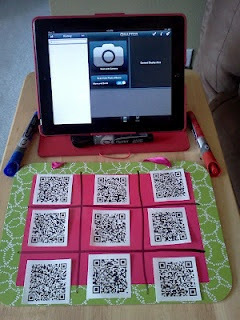 I thought the use of QR Codes was a great way to get kids learning without knowing it! It's a simple way for them to conduct research or even check over their own work! I need to use these more next year with our iPad cart! #5 I've used passes etc. but there is moment when I forget who is in the bathroom or who I sent to the nurse as the fire alarm is ringing. So I thought this clever idea would be a great way for ME to know where my students are. I'm a very with-it teacher but as we get into workshop and groups, I'm so focused on my groups or conferences, that I often don't realize I said "Yes" to a bathroom question. This is on my to-do list of the summer! #6 & #7 I hate when students interrupt during workshop conferences or small group RTI. So to hopefully help me manage my small groups as well as keep my class on task, I'm hoping to use #6 and #7. During writing workshop, students often want me to answer their questions even though they have a writing partner. However, I can barely get through conferences as it is! 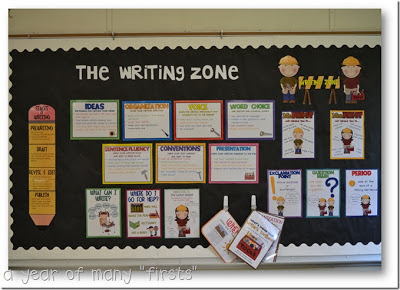 I'm hoping to make more use of my writing center area next year. I want to have a "One stop shop" for all things writing so students can check and monitor his/her own work FIRST before they come see me. My seventh pin will hopefully allow students to "know" if I'm available to take their questions during workshops. #8 I'm adding my eighth post to my summer To-Do list. I already have the clips, string, and card stock ready! I just need to put it all together! I need one of these signs to manage my own workshop conferencing time and schedule. I'm also going to try to do some group conferences next year. I just feel like towards the end of a piece, I'm shorting some students so we can wrap up the pieces and get them FINISHED! I have nightmares about conferencing... no joke! I can get everything but that piece to fall into place! #9 Oh the writing process (AGAIN!)... It's called a process for a reason, even if its the teacher who needs help through the process ;) .... I already have a system for keeping track of the writing process using numbered clips. But I like the idea of having these magazine bins for students to go too. I'm not sure if I'd want students to put drafts in the folder or just have handouts for help in their, but I think that would really help the flow of workshop. I have 50+ students so I don't think keeping drafts would be idea. 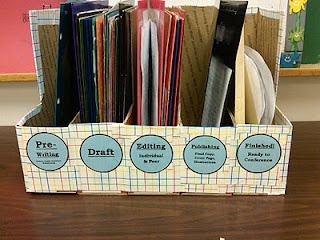 However, keeping some editing checklists, revision reminders, etc. handy would allow students to move on without permission. I'm all for helping my kiddos gain independence! #10 The next item(s) are on my wish list! Often at stations, it takes forever to go over all the directions because I know students won't read the directions I have typed up at each station. 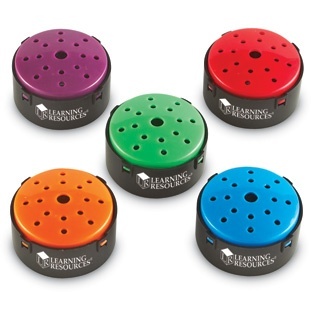 These little pods allow you to record your directions or voice. I think these would be great for giving instructions and hopefully would have more "buy in" than typed up directions. Plus the kids could listen to them again before asking for help. It would hit another learning style if nothing else! Can't wait to see everyone's pins for this week's party! I'm always in the mood to repin a great idea! Hope everyone has a great week! Love your pins...so inspiring! 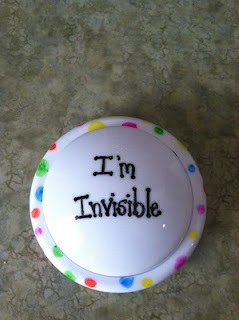 I totally need the I'm Invisible button. Thanks for linking up!! Just saw this on Pinterest! it's 10/2017 now. What are those little recording buttons? Still available? Would be soooooo useful in kindergarten! Thanks! It appears they are still made. Those were called Talk Points. I checked Amazon and they are out of stock but there are similiar products available. I think those are from Lakeshore. I never actually but them but they are really neat! It's a Blog Lovin' Friday! Made It Monday plus other link-ups!